Thinking about using Safari on your Mac, but worried you might lose features and bookmarks? Here’s a quick guide to comfortably moving to Apple’s web browser, without missing out. There’s a lot to love about Safari – it’s lightweight, fast, and integrates well with your Mac. It’s also not the underpowered browser of yesteryear: there are quite a few features offered in Safari not found in Firefox or Chrome. Complete syncing with Safari on iOS devices. A built-in reading list and RSS reader in the sidebar. Native Mac notifications from a wide variety of sites. Built-in Reader mode, for clutter-free reading. Toolbar and tabs optimized to use as little vertical space as possible. I could go on, but my colleague James already outlined his reasons to switch to Safari 4 Reasons I'll Be Switching to Safari 6 on OS X Mountain Lion 4 Reasons I'll Be Switching to Safari 6 on OS X Mountain Lion Until now I’ve put Safari firmly in the same box of horrible things as Internet Explorer - a sluggish, default browser that’s only purpose in life is to download other shinier and faster browsers. Safari... Read More . I’m going to assume that, if you’re reading this, you want to switch to Safari but aren’t sure how to make it comfortable. Here’s how to make sure nothing is missing as you make the switch. 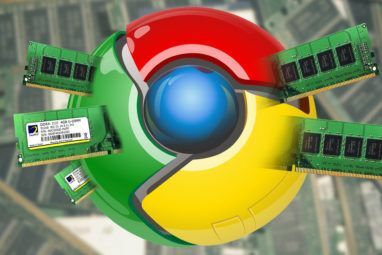 Some people might want to try Safari out, but keep using Chrome or Firefox as they test things. If you’re not completely converting to Safari, you’re going to want to keep your bookmarks synced up – XMarks is the easiest way to sync bookmarks across browsers XMarks Syncs Bookmarks & Passwords Between All Major Browsers XMarks Syncs Bookmarks & Passwords Between All Major Browsers Read More , so be sure to look into it. 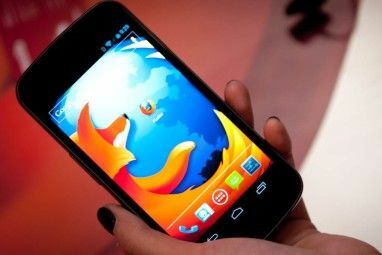 With it installed in all browsers you can switch from Safari to Chrome to Firefox without losing any of your bookmarks. 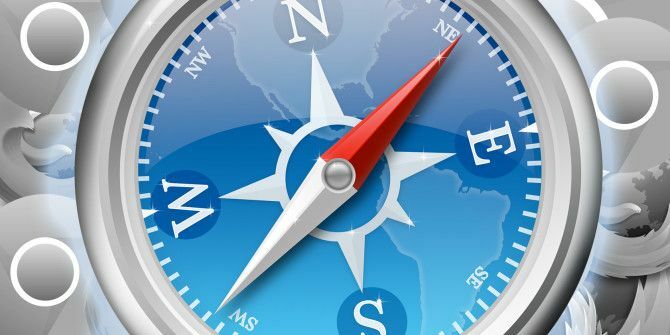 The lack of extensions was long Safari’s single biggest weak point, and in terms of the total numbers Apple’s browser doesn’t come close to Chrome or Firefox. 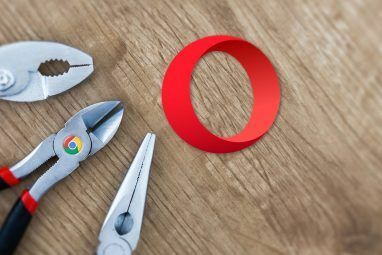 It’s worth stating, though, that many of the most popular browser extensions out there – from Evernote to Adblock, from Amazon to Facebook Purity – are now all offered for Safari. If you’re not one to use a ton of extensions, there’s a good chance most of what you need is offered. Power users may be less pleased, but there are still a number of extensions worth checking out – and there is, refreshingly, not a lot of crap to filter through. Explore Safari’s extension market to find out. My collegue Bakari outlined a few Safari extensions to increase your productivity 10 Must-Have Safari Web Extensions To Increase Your Productivity 10 Must-Have Safari Web Extensions To Increase Your Productivity Safari is sleek, powerful, intuitive and well-connected -- but it can also simplify your life. Here's how you can turn Safari into a productivity powerhouse. Read More , if you want some ideas. If you’re a big fan of userscripts, you should check out NinjaKit. It hasn’t been updated in a few years, but it’s the best way to run userscripts in Safari. Take a look at our Safari keyboard shortcut cheat sheet Safari for Mac Keyboard Shortcuts Safari for Mac Keyboard Shortcuts Read More and you’ll notice a few things. For me, one thing stood out: the keyboard shortcut for Next Tab is completely different in Safari than other programs. Happily, on your Mac, it’s possible to create a keyboard shortcut for any menu item How To Create A Keyboard Shortcut For Any Mac Menu Item How To Create A Keyboard Shortcut For Any Mac Menu Item Is there no keyboard shortcut for something you do regularly? That’s annoying, but here’s the good news: on your Mac you can add one easily, without the need for extra software. Read More . Head to your Mac’s System Preferences, then Keyboard. Click “Shortcuts” and you can add anything. Just make sure you use the exact wording found in Safari’s menubar, then set your alternate keyboard shortcuts. You can do this to change any keyboard shortcut found in your Mac’s menubar. TabBack: Assigns Option-Shift-T to open the recently closed tab. Doesn’t work as well as in other browsers – shortcut seems to simply not work in many situations – but it’s better than nothing. Recent Tab List: Shows a list of recently closed tabs. Sadly, cannot be triggered with a keyboard shortcut. While you’re restoring features, you might notice that you miss the statusbar – the indicator at the bottom of the screen that shows you where a particular URL will bring you. You could enable Safari’s old, permanent statusbar if you want, but if you prefer Chrome’s statusbar – which is only there when you need it – I recommend you install Ultimate Status Bar. Some of the best Mac software comes pre-installed The Best Default Mac Apps That You Shouldn't Need to Replace The Best Default Mac Apps That You Shouldn't Need to Replace Here are some of the best default, pre-installed, native Mac apps worth using. Don't ditch them before you try them! Read More , and recent updates mean Safari is right up there with them. There’s a lot more you can make Safari do, from controlling your streaming services using your media keys Mac Users: Control Streaming Services With Your Media Keys Mac Users: Control Streaming Services With Your Media Keys You're about to walk away from your computer, so you absentmindedly hit "Pause" on your Mac. Nothing pauses – instead, iTunes launches. Read More to using any website as your new tab page, but I want to learn from you guys. If you’ve recently switched from Chrome or Firefox to Safari, what changes helped make the transition more comfortable? Let me know, and also feel free to ask about any feature you wish you could get working! I’m here to help. Explore more about: Browser Extensions, Safari Browser. Not really seeing a lot for a Chromebook here. All phone apps, and I don't use one. Also nice if you don't mind giving free ads to the companies..my issue with that is their ads are longer than the video I was making..
Read this entire thing and found nothing about how to switch from Chrome to Safari. Hey, what's missing? Follow these steps and most of the stuff you had in Chrome should follow you to Safari, no? Is there anyway to use multiple profiles in safari just like in chrome? No, there isn't, though there are private windows. I am a Mac user for 25 years and have always used Safari. I recently stopped because they refuse to include the 'ADD BOOKMARKS HERE' feature in favor of, I presume, forcing people to use alphabetizing cloud services. I have over 7,000 bookmarks and I organize them manually because I have done this over the years and it's very easy now. I do not want them alphabetized. I simply want to place a bookmark but this is beyond the scope of Apple and the GLIMS project ended without a word. I can drag it to the sidebar but it requires an extra step to rename it one placed. The ignorance of the oversight compelled me to try Firefox which is respectable but no match to Safari by a longshot. To me this just goes to show you how many different kinds of people you need to think about when you design software, because I never would have imagined a person with 7,000 bookmarks. I'd love to buy you a beer sometime and talk about why you have so many, it seems like just Googling stuff would be easier once you get to a couple hundred bookmarks. What kinds of things are you saving links to? Slight correction imho: It just goes to show you that software designers shouldn't cater to the probably 1 or 2 people on earth who have ... SEVEN THOUSAND+ ... bookmarks. Justin, it's a matter of quality and memory. If you have ten pairs of socks, you know what drawer to look in but if you have 500 pairs of socks, the logic of retrieval is more daunting and memory via name or color or tag is more difficult. You are aware that the Internet represents only about 10% of the actual data available on the web and that Google uses about 55 different protocols to customize the results of your search versus another identical search elsewhere. The chances of finding an obscure site twice are next to impossible. Having said that, I have dozens of categories of research as well professional categories (I am an architect), topics of interest etc. which have evolved over the years. I am sure that 10-20% of my links may have lapsed but generally speaking there is a redirect if so when dealing with authentic research sites and people that want to be found. This database is about 20 years old now. If you only have about 120 bookmarks, I assume your pursuits are specialized. Let's just say I could hold your ear for a few minutes or a few years depending upon the depth of your interest and my bookmarks represent the careful selection of sources for this research both personal and professional. I've already tested Safari, not impressed, bad experience. Safari = Apple = Not open like Firefox. If you don't like Apple, why are you on a Mac? I would love to dump Chrome and switch to Safari but I can't get over how bad tabs are in Safari. I work with 20+ tabs open at a time for work and the absence of favicons and having to scroll through said tabs was a terrible decision in my opinion. I would also miss the multiple profiles though I could live with that. That means that whenever you log in to a web system and save credentials, safari will try to put your username and password everytime it sees username and password fields. Problematic when you manage and add user accounts.. I could see that as being annoying, thanks for pointing it out. Mistake in my first post. Chrome results should read 5312 and not 5156. The speed tests mentioned in your link to "reasons to switch to Safari" seem to be out of date (conducted in 2012). I just ran the Peacekeeper speed test on the latest versions of 3 browsers (Firefox, Chrome and Safari). Firefox was the clear winner and Safari the clear loser. Here are the Peacekeeper results, higher numbers being better. Thanks for pointing that out! The article I linked to is a little outdated, but I will say that I still /feel/ like Safari is faster. I've no idea if that's accurate or not, and apparently it isn't. I recommend everyone just try out as many options as possible and stick to what works. I didn't know Safari was still around. Firefox ownz! I do say, the "z" at the end of "own" really adds to your credibility. I shall try this firey fox, posthaste!